Three yeomen of Sutton, William Twamley, Richard Kesterton and Isaac Terry were accustomed to put horses into Sutton Park to graze, paying the Warden and Society tenpence a quarter. In 1787 the Warden started to charge 18d. a quarter, and our three yeomen, together with Joseph Grange, a cordwainer, objected to this and appealed to the courts, saying that the 10d. charge was enshrined in the town’s Charter of 1528 and could not be altered. They won their case, and the Warden and Society agreed never to raise the charge again. But Twamley and his friends had found out that the Warden and Society were not managing their affairs very well, losing income which could have been used to improve the town’s public services. A case was laid before the Court of Chancery in 1788 by William Twamley and others, asking the Court to make the Warden and Society manage their affairs better. 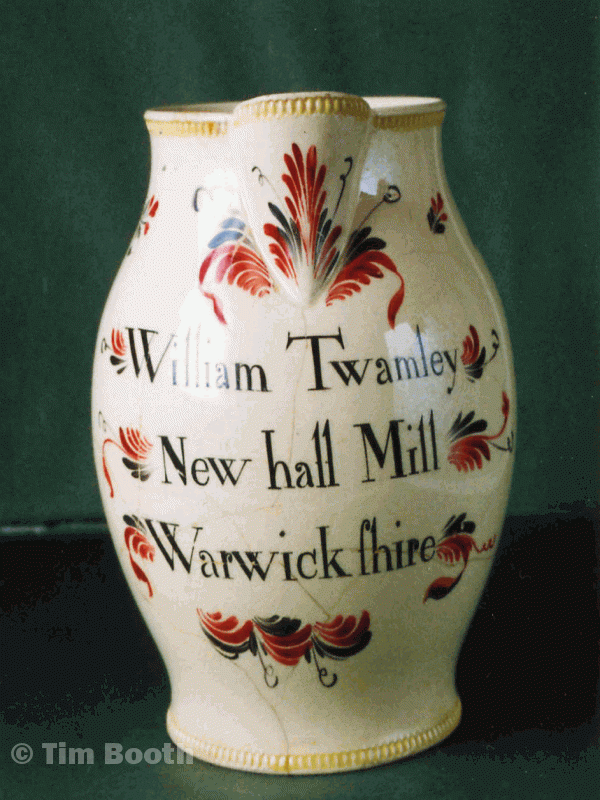 Twamley was the tenant of New Shipton Farm and of New Hall Mill, and, together with his sons, had improved both properties by extending or rebuilding them. No doubt the spirit of improvement and revolution which was in the air (as Wordsworth put it - “Bliss was it in that dawn to be alive /But to be young was very heaven”) encouraged him to try to liven up the somnolent Warden and Society. William took an active interest in the progress (or lack of it) of the Chancery case - his son Zachariah says Sir John Scott told his father “No man could have taken a more honorable matter in hand”. The case did not ruin him - he took on the lease of Duddeston Mill at £180 per annum in 1815, describing himself as “William Twamley of New Hall Mill, mealman”. In 1817 the Warden and Society had to elect six new members to replace six who had died or left the district; it was for the remaining eighteen men to choose the new members, and William was one of the successful candidates. He did not see himself as part of the Establishment, however, as can be seen from the voting on a proposal to help the cottagers - for: William Twamley; against: the other 16 members present. The Chancery case was finally resolved in 1824, with the Warden and Society agreeing to a scheme for better governance of the town, but William Twamley died early in 1825, before the new scheme was put into effect.